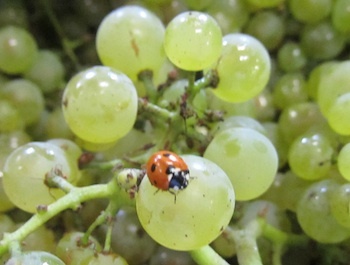 This is a ladybird with impeccable taste, nestled snugly on a bunch of Montrachet grapes at the Drouhin winery on the outskirts of Beaune yesterday. And you needn’t worry that she soon met her doom in the press. Far from it. 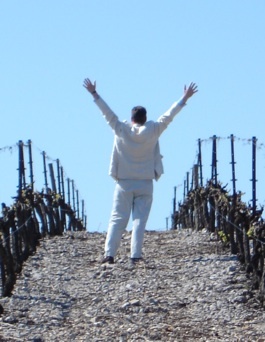 Having first noted that her presence was evidence of the success of their biodynamic practices, Véronique Drouhin then carefully removed her and brought her outside where she was placed gently on a white rose. The cellar hands get a good laugh out of Drouhin’s concern, though ladybird rescue is not all that she does during harvest. Outside, at the grape reception area, they are trialling a new optical sorting machine from Italy, having tried two others last year. But someone is missing – Lionel, a coiffeur from Beaune who always takes his annual holidays to work the harvest at Drouhin. This year’s early harvest caught him out and, such is his work rate, two people have had to replace him. 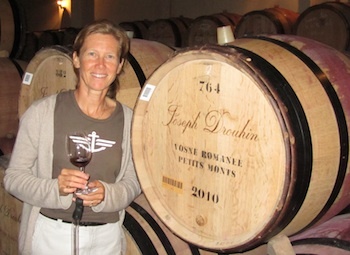 Véronique Drouhin with one of the four barrels of Petits Monts 2010. 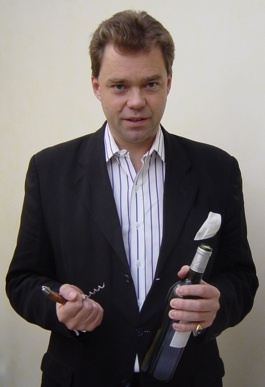 PS If you are thinking of buying some Drouhin 2010s my tips would be the Chambolle-Musigny Les Amoureuses and, from Véronique Drouhin’s own personal vineyard, the Vosne-Romanée Petits Monts. And the Musigny if you have just won the Lotto.